He is sometimes known as Spike. 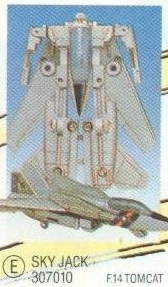 A repackaged release of the Machine Robo Tomcat Robo, Sky-Jack converts from robot to F-14 Tomcat. 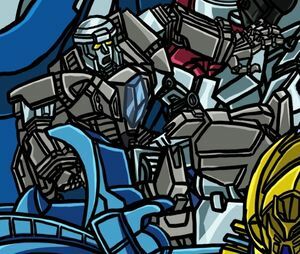 Sky-Jack's Cybertronian-style body in the "Cataclysm universe" is modeled on Generation 1 Talon with the head design of Armada Jolt. This page was last edited on 8 May 2018, at 15:31.